BRUSSELS : PVCMed Alliance-a group that represents Europe’s plastics medical industry firms, has decided to form an alliance with other parties to promote more efficient medical plastic waste management system. PVCMed Alliance will collaborate with other agencies including the Swedish Environmental Institute in providing a recycling solution for vast quantity of plastics from healthcare industry. The project aims to explore alternate ways by which the efficiency of the existing recycling systems can be improved. A key goal of the initiative is to help identify the products that can easily be sorted and recycled. 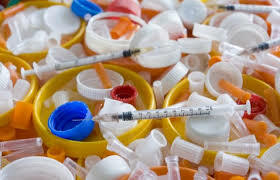 The project titled “Sustainable Handling of Plastic Waste from Healthcare” is being financed by Vinnova, the Swedish Governmental Agency for Innovation Systems and is headed by the Swedish Environmental Research Institute together with the SP Technical Research Institute of Sweden and the Chalmers University of Technology. Other financial supporters and participants are SWEREC, IKEM Innovations and Chemicals Industries of Sweden, INEOS, Business Region, Renova, Västra Götaland Regional Council, Stockholm County Council and The PVCMed Alliance. This project would run until January 2014. PVCMed is an alliance of the PVC medical industry chain represented by PVC resin & plasticiser producers and PVC converters to proactively engage in PVC and healthcare related debates.